You can find practically anything at the swap meet or flea market like my hard-working $3.00 toaster oven. Some people wouldn’t waste their time going to a flea market, swap meet, or garage sale. They assume that everything is just “junk.” Ha! The truth is you need to come and shop early or you’ll miss that great bargain and end up with the same wrong opinion. I just love hunting for treasures. As I walk through a crowded swap meet and browse tables filled with merchandise, I found some incredible deals, which I’m going to share with you from time to time in this special column. If you’re starting out a home, then you should definitely consider visiting a swap meet, flea market or some garage sales because you can basically get everything you need to furnish a place cheap. Let me show you one of the things I picked up over the summer. This is not a valuable antique, but it was something I needed since my built-in oven died. I had needed to buy a toaster oven big enough to bake in, but I happened to stumble on this Hamilton Beach model at the swap meet instead. 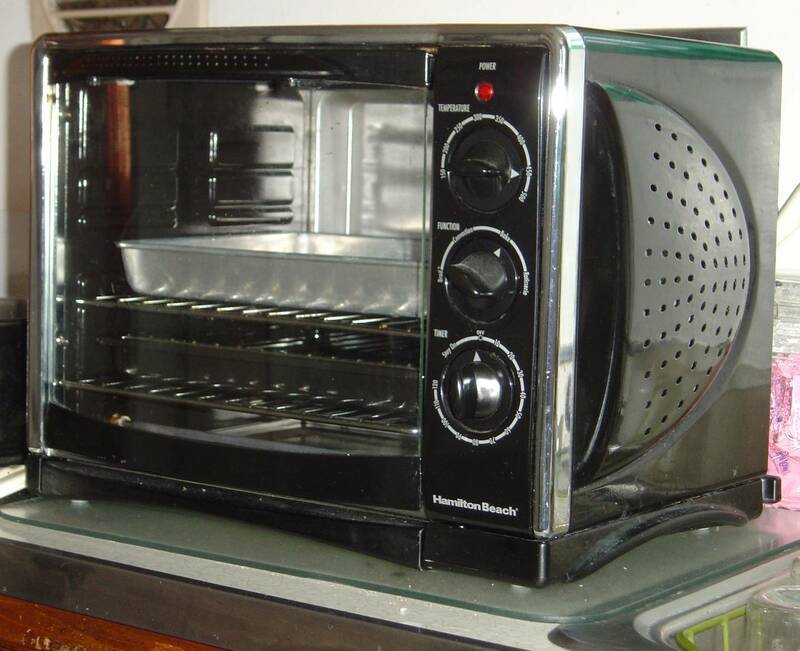 I never tried baking in any toaster oven until this fantastic $3.00 purchase! As you can see from the photograph, this is the same oven that I made my recipes in. This is continuing to be my only oven until my kitchen is remolded and I’m rid of those 51-year-old built in appliances, which is a nightmare when it comes to replacing. My swap meet find is larger than the small toaster ovens. I can fit two bread loaf pans inside or the size of a small sheet cake pan like I shown you in my recipes. This size is wonderful and I still bake just not the same amounts as I did with my old oven with big cookie sheets. But for $3.00 I am happily baking and testing out a product I never used before, but I would buy again. Shopping at a swap meet, I got to test it out first before wasting about $100 for a toaster oven I may have hated. For the record, I didn’t even have to negotiate a price. The seller just wanted to get rid of the oven. To her, the $3.00 was better in her pocket than sitting around in her basement. Another plus I learned from using this toaster oven was savings on my electric bill. With such a good deal like this one, you would be nuts about visiting the swap meet for your next bargain too! Previous Post My Five-Minute Microwave Chocolate Cake!